How does inductive charging work? 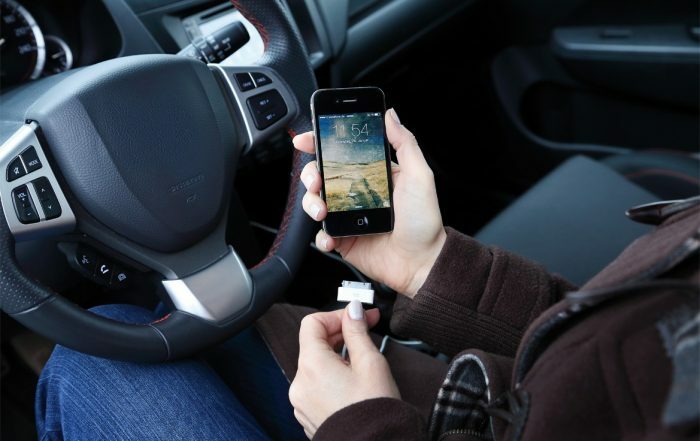 Get rid of charging cables!Use INBAY to charge your smartphone wirelessly in your car. Leerer Akku ist von gestern. You travel a lot? No empty battery anymore. Lay your smartphone down on INBAY - done. Factory-quality integration. The original design of your interior remains nearly unchanged! 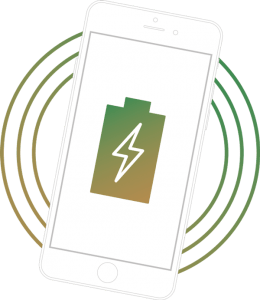 INBAY – inductive charging in your car. Declare your car a cable-free zone. 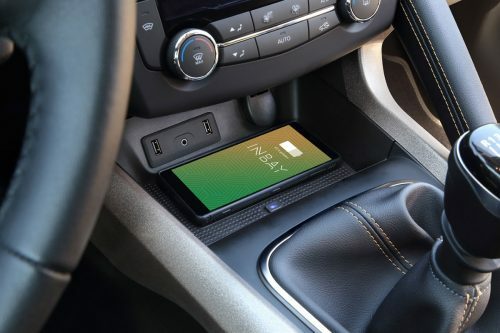 INBAY makes charging your smartphone in the car truly convenient. 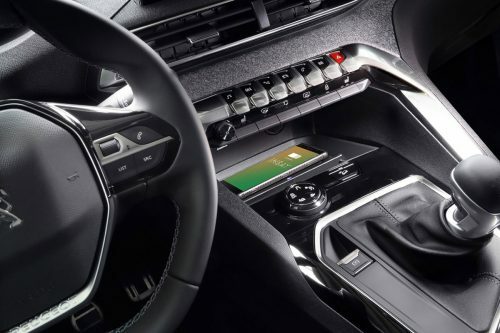 INBAY allows you to integrate a discreet, custom-sized charging tray into the interior of your car. Simply switch out the original storage tray in your car with INBAY. Then simply place your smartphone on this mat and it will charge wirelessly thanks to the Qi standard. No more cables, no more plugging your phone in, and no more depleted battery while driving. 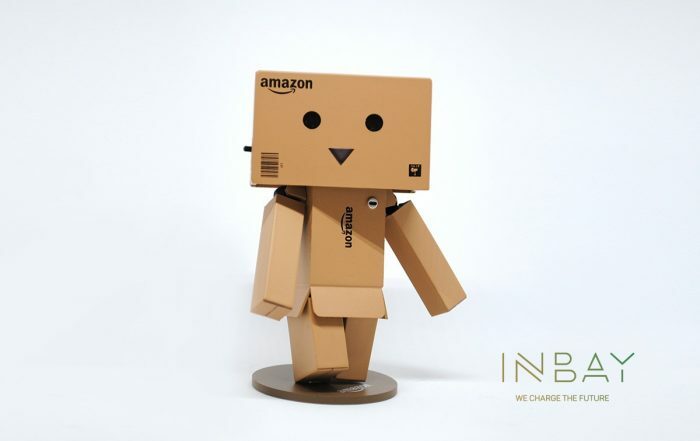 INBAY – we charge the future. is available in your car today. We believe it is very important to make aesthetically designed products that are true to your vehicle’s original design. 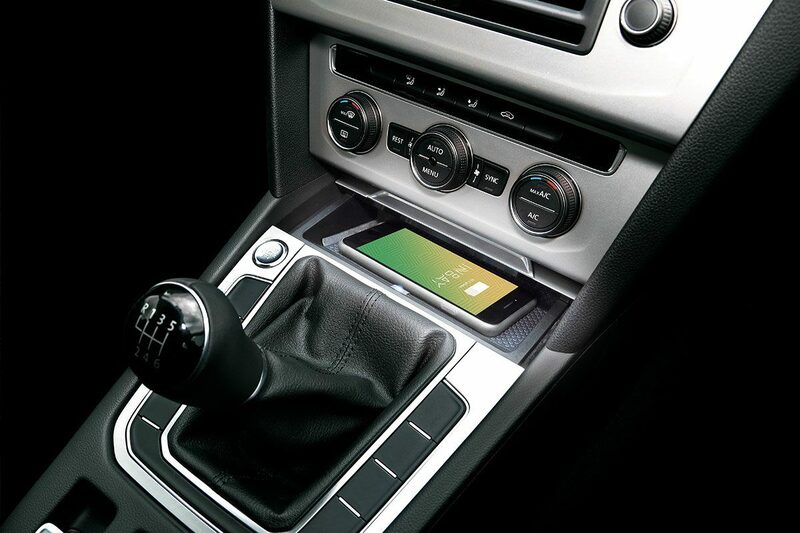 That’s why INBAY offers you a wireless charging solution for your vehicle that looks fantastic. We develop different INBAY products based on the vehicle. In other words, we individually customize our product for each vehicle model. This means that INBAY is fitted to the shape of your front passenger compartment down to the millimeter. You get an optimally integrated solution that you will hardly be able to tell from the OEM part and that will blend perfectly with the rest of the interior. The design of your car will remain visually unchanged, though INBAY will upgrade the charging functionality of your vehicle to the current state of the art. wireless thanks to the Qi standard. All INBAY products use the “Qi standard”. This is the worldwide standard for wireless charging. That’s why all smartphones that also use the Qi standard are compatible with INBAY. For example, this standard works with Apple (iPhone 8, iPhone X, iPhone XS, iPhone XS and iPhone XR ), Samsung, HTC, Nokia, Motorola or LG. If your smartphone is not yet equipped with the Qi standard, you can easily and conveniently upgrade the function with smartphone cases. Here you can find more information: Does my smartphone work with INBAY? you can charge your smartphone by simply dropping it on the tray. you can say goodbye to annoying cables. you get the Qi standard in your car. you do nothing to change the original interior design of your car. 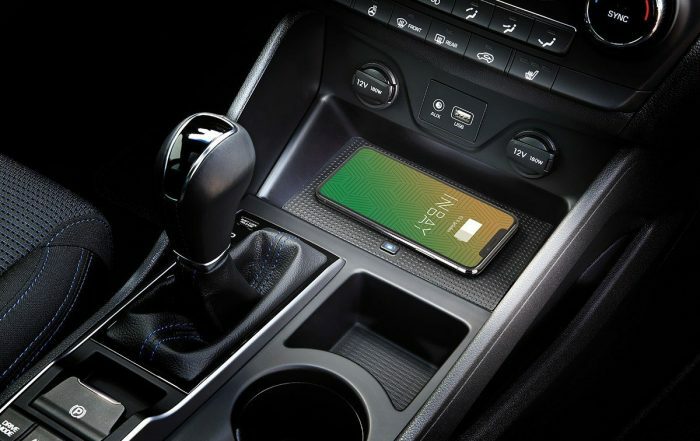 Wireless charging in your car? No problem with INBAY. 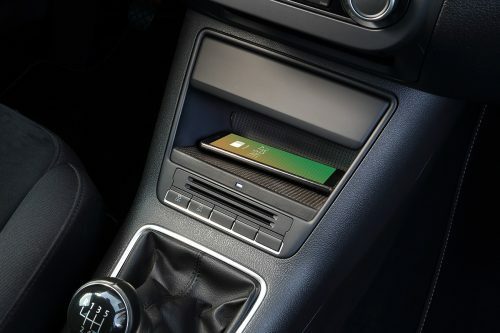 Simply exchange the original storage compartment against INBAY and your smartphone will charge by simply dropping it off. INBAY is Made in Germany and Qi certified. You are looking for INBAY for your car? Enter your brand or model here.